Just like last year at The Next Web Conference, the Pancake Stand will return to Amsterdam at 26 & 27 april. Grab your fresh baked pancake (original recipe) right outside the main venue of the conference and tune into some of the Microsoft Bizspark Startup Competition Pitches while you wait! The Pancakes are baked in front of you made with love and old secret family recipe from "Pannekoekenmolen De Graanhalm". Served with Sugar and Syrup to sweeten the deal. @RoelandP & @HeleenVanLier are ready to serve you. Traditionally the Startup Competition powered by Microsoft Bizspark is being held during TNW Conference. We interviewed the startups as well with Shoudio's Interview Tool so you can listen to their pitches while you wait for your pancakes! About a year ago Cisco killed the Flipcam, but we plan to bring it back to life at The Next Web Conference. Tune into this very beta and very original videostream right here during the Conference. 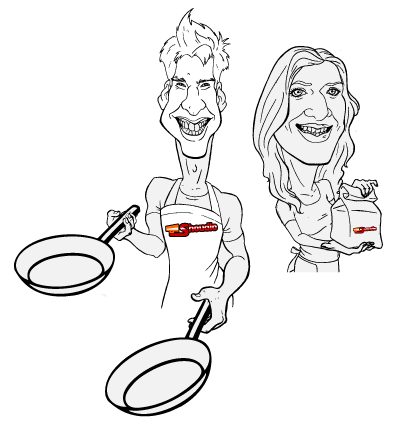 During The Next Web Conference we will live broadcast from the pans flipping the Pancakes. True Flipcam experience! Free Pancake Offer: Got Shoudio? Publish a Shoudio with a short interview you have with someone about for example their Conference Experience, hashtag it #tnwconf, from your phone nearby the Pancake Stand, show it to Roeland or Heleen and get your free pancake for you and the interviewee! Tune into the latest pitches on site at the conference with headphones provided by WeSC: We are the Superlative Conspiracy! True internet style to check the demand for our MVP: Pre Order your Pancakes right here, bring your pancake-tickets and get in front of the Queue. Shoudio is the Location Based Audio Platform. With Shoudio you can instantly record and share audio. Any kind of audio. Attached to your GPS. Explore the world of sound around you. What are you hearing? Ask us about recent whitelabelled projects using Shoudio as Location Based Audio CMS. Got something to tell? 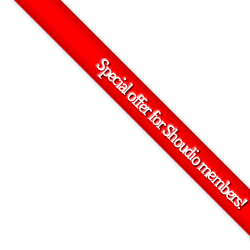 Use Shoudio for iPhone or Android, or even our web based audio recorder or uploader.